The AP-S20RT features noise filtering for unwanted Radio Frequency Interference (RFI) that is commonly introduced into AC lines by nearby radio transmitters or wireless products. EMI filters are incorporated to reduce noise and Electromagnetic Interference (EMI) from such items as electric motors and external switching power supplies. The benefit of these filters can be seen on video products or audibly by reducing static pops and external signal interference. Unstable AC Mains voltage is one of the main reasons for equipment failure. The amount of energy that can be injected into the power system can be immense with voltages reaching 6kV or amperage peaks of 3000A. These spikes are very fast and usually only last for a very short period of time. The AP-S20RT's circuitry is very fast and can suppress unwanted energy within a nanosecond response and sustain the suppression up to 2 milliseconds, thus ensuring virtually trouble-free protection. If damage to the suppression circuitry occurs, the AC fault LED will illuminate. 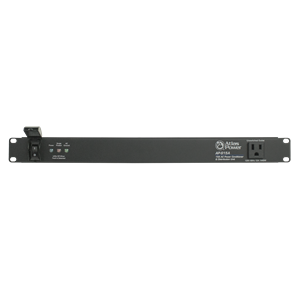 The AP-S20RT incorporates EVS (Extreme Voltage Shutdown) to remove AC power from devices plugged into the switched outlets in the event of unsafe high or low voltage conditions. A convenient front panel LED indicates if shutdown has occurred. 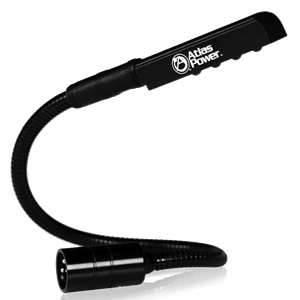 The AP-S20RT also features a Remote Activation feature. This Remote Activation feature allows up to 20A of clean electrical power to be switched On or Off with a simple latched dry contact closure. With the closure of the remote activation switch, 12VDC at 100mA is available to power a remote status LED. An Emergency Power Down function, or EPD, can also be created by using the Remote Activation feature by simply keeping the Remote Activation contact closed until a condition occurs that requires a system shut down. When the contacts are opened, it will remove power from the switched outlets to protect equipment. A rear mounted bypass switch disables the Remote Activation should the need arise.